This post is sponsored by Hy-Vee in partnership with Linqia. Any opinions are 100% my own. First, make waffle mix according to box directions, or make homemade waffles if you want. 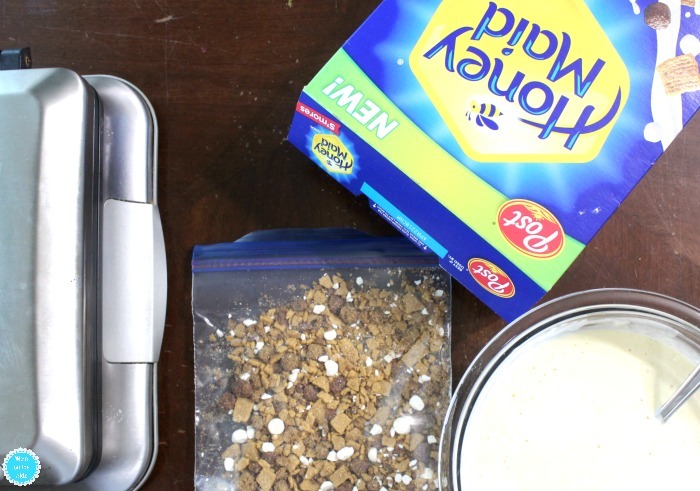 Next, dump 2 cups of Honey Maid Smores Cereal into a plastic bag and seal it shut. Smash the cereal down into crumbs. 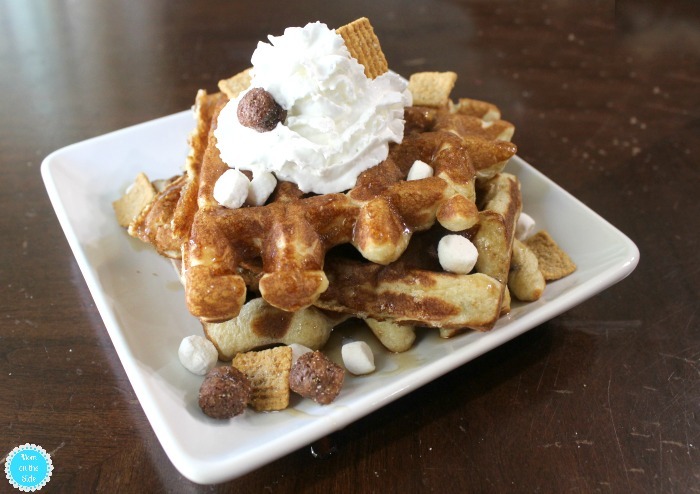 The marshmallows won’t crush down and that’s okay because they add great texture to the waffles! 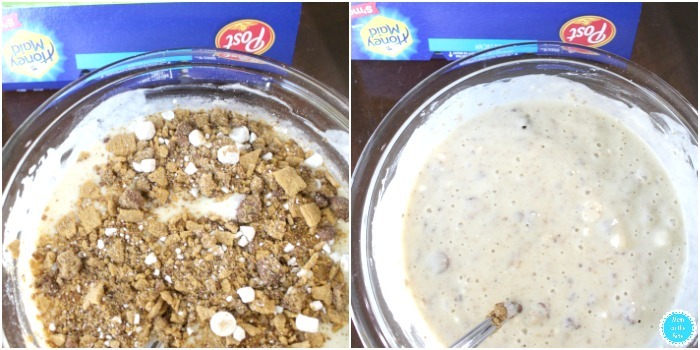 When you are done crushing the cereal, add it to the waffle mix and combine. Make waffles as you normally would in the waffle maker. Before serving, top with syrup and whipped topping if you’d like. Watch your family smile as they dig into these delicious Smores Waffles! They will almost transport you to a campfire on a crisp fall night thanks to the chocolatey goodness, sweet marshmallows and the crunch of graham crackers in Honey Maid Smores. The bomb-tastic waffles though? 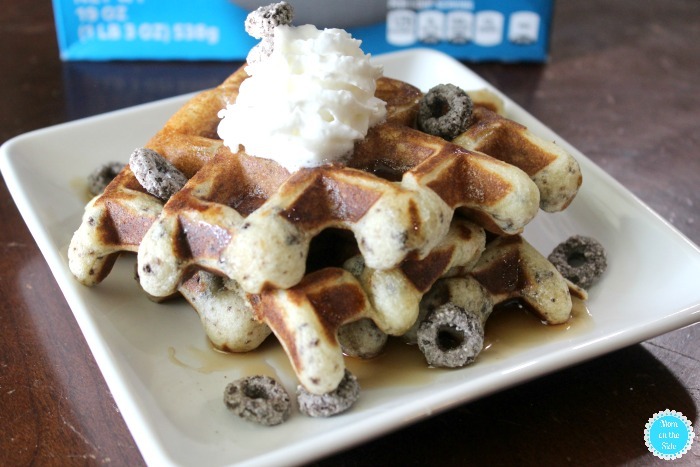 Those were Oreo Waffles made with my son’s favorite cereal, Oreo Os! He rarely goes grocery shopping with me, but when he does at least one box of goes into the cart. He was pretty excited when I told him I was making Oreo Waffles for breakfast last weekend! 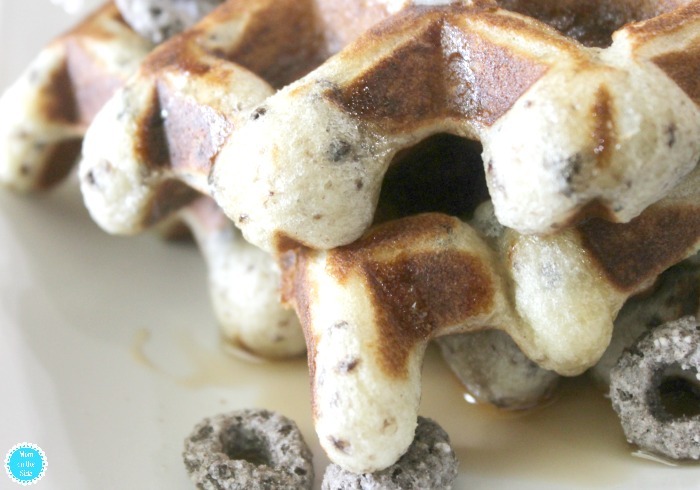 Oreo Waffles are made just like Smores waffles, by crushing the cereal and adding it right to the waffle mix. Topped with syrup and whipped topping, this is a breakfast to smile about. I wanted to put sliced strawberries on top as well, but when I went to get them out of the fridge I realized the kids at them all. Oh well, next time because I think the chocolate crunchy Oreo Os paired with strawberries will be AHmazing! I can see why my son loves this cereal with its cookie taste and rich creme coating that combine for a bowlful of cookie milk that has you drinking the bowl clean. 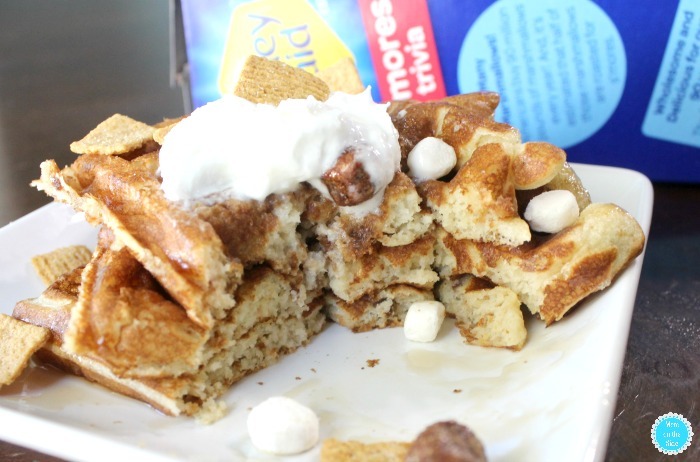 Next time you are planning a fun breakfast, give these waffles with cereal a try! 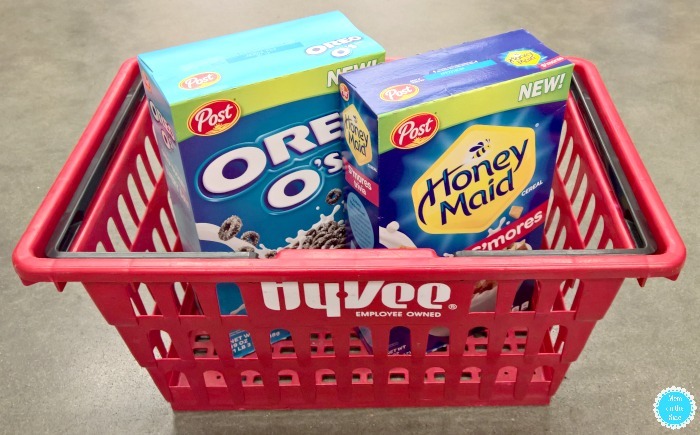 You can find new Honey Maid Smores and Oreo Os cereal at Hy-vee. 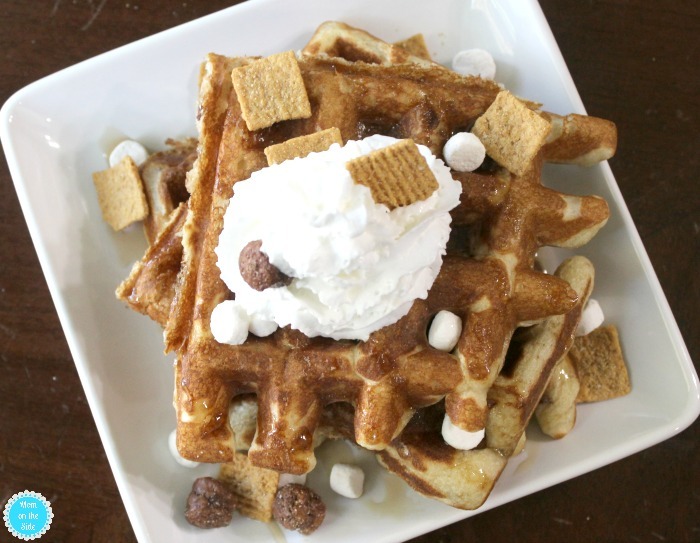 Pin Smores Waffles and Oreo Waffles for your next fun breakfast!